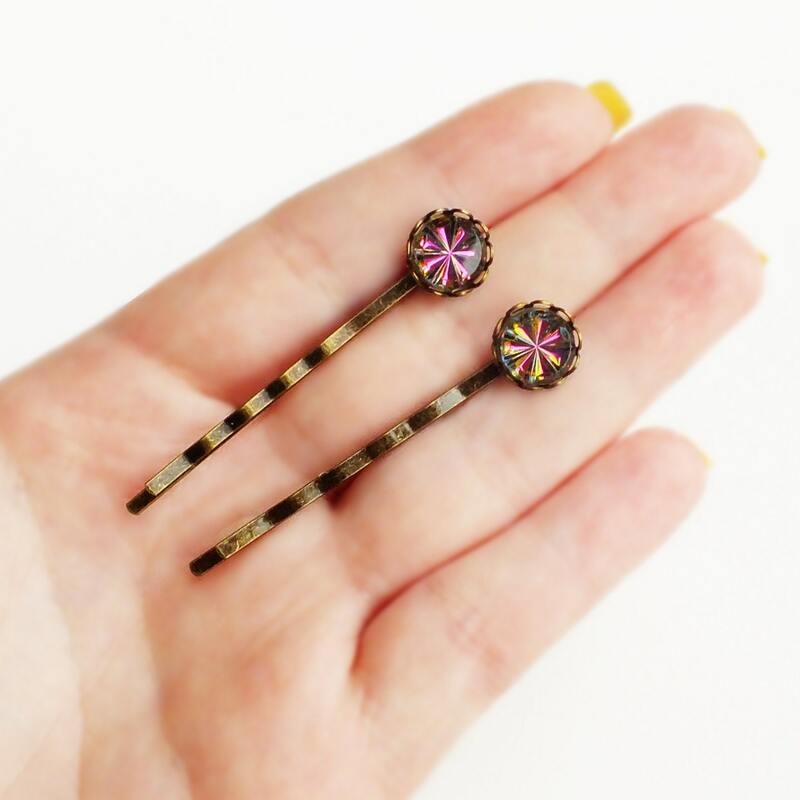 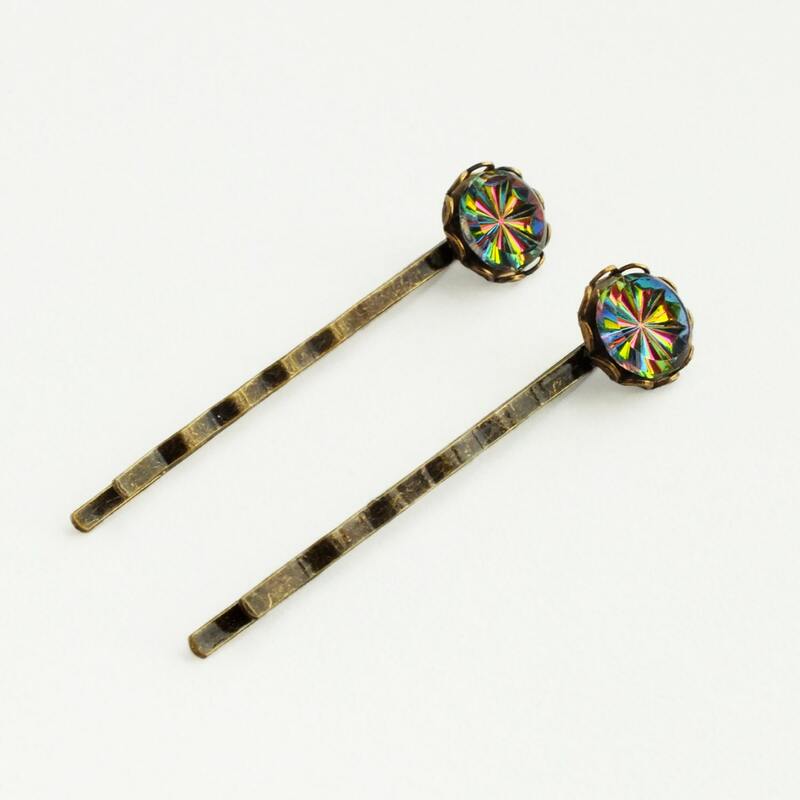 Small handmade rainbow crystal hair pins with vintage vitrail medium glass jewels and brass bobby pins. 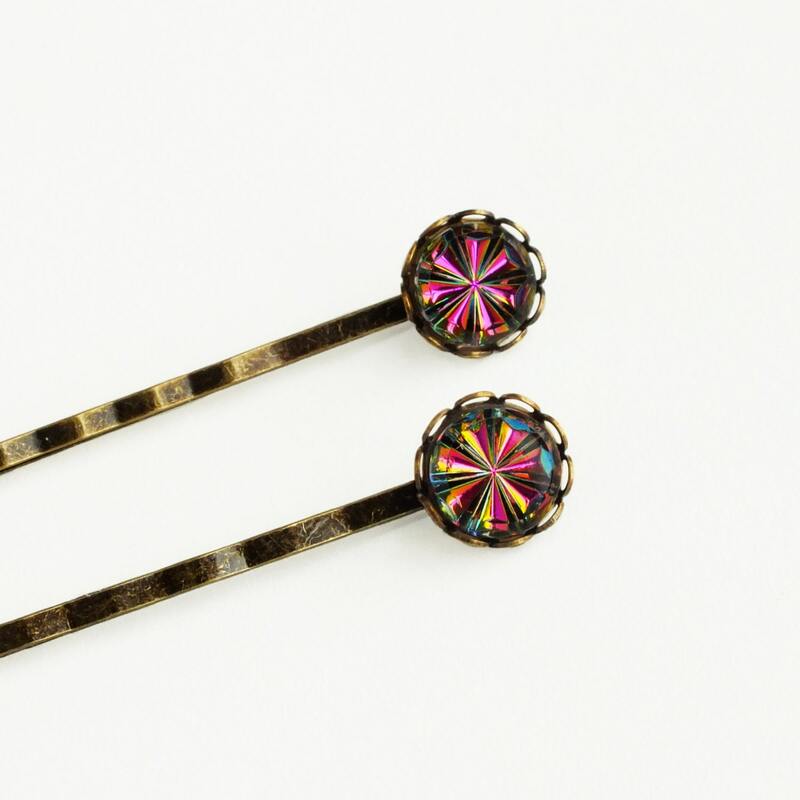 Made with rare genuine vintage 'Vitrail Medium' starburst patterned crystal jewels in a shifting iridescent rainbow of colors. 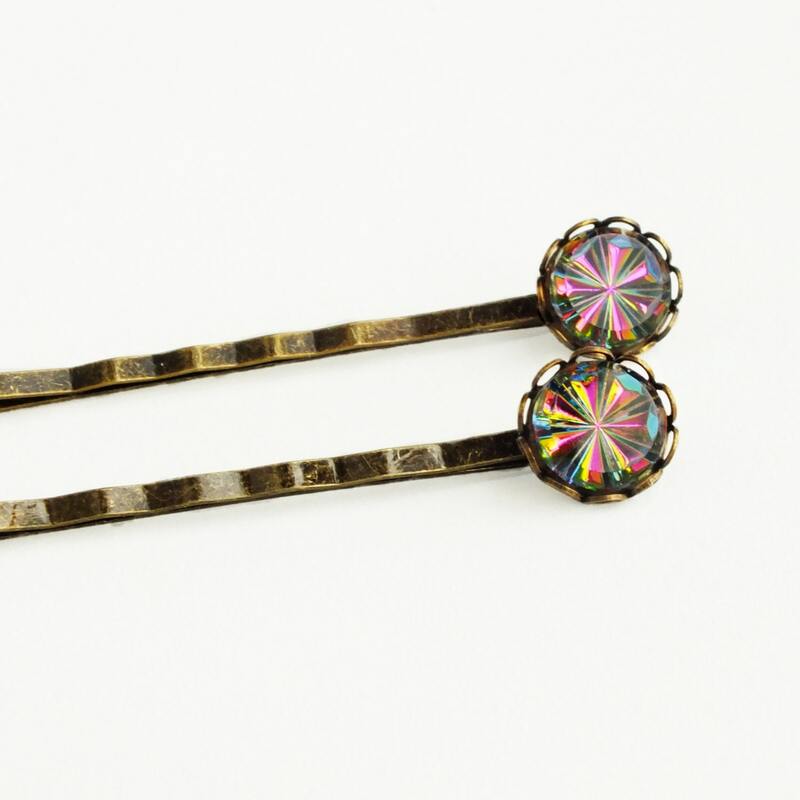 Gorgeous shades of hot pink, green, and yellow shift as the light and direction changes! 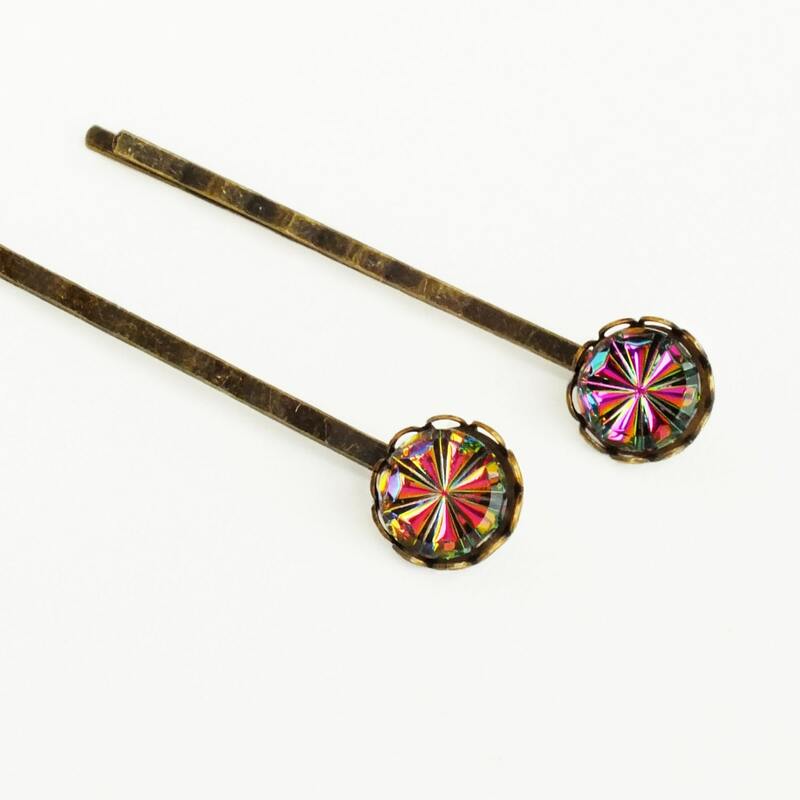 Set in antiqued brass settings secured to antiqued brass bobby pins.